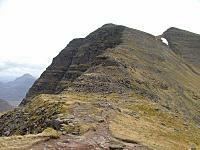 Beinn Alligin is a very distinctive mountain with its great cleft, the Eag Dubh, on the S face of Sgurr Mor. 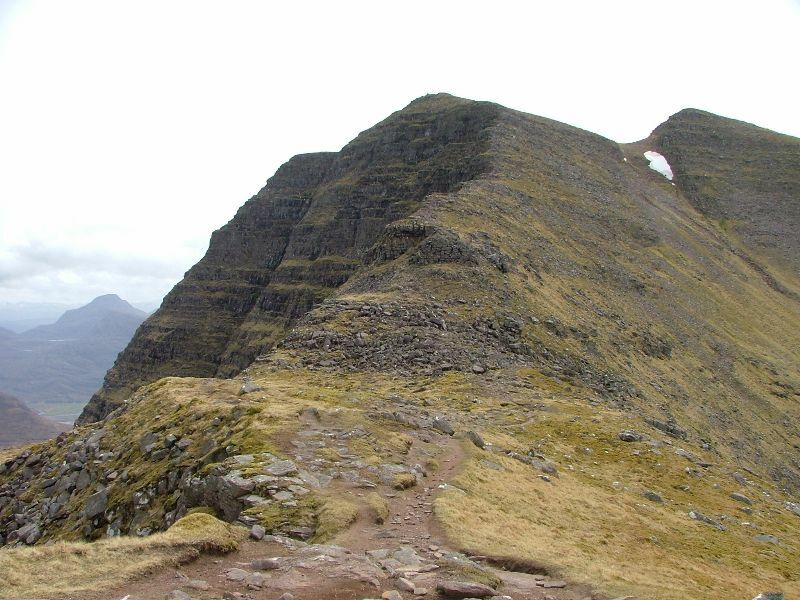 Tom na Gruagaich is the more S of two munros on Beinn Alligin and it is connected to Sgurr Mor by a col N of its summit. 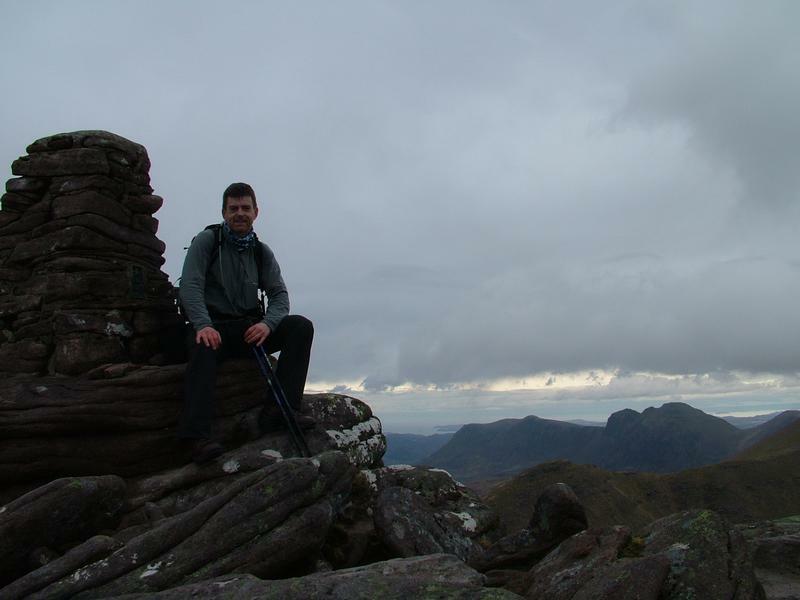 This col is one of the possible ascent routes either from Sgurr Mor or more usually from the corrie to the E.
The other common ascent route is up the corrie on the SE face of Tom na Gruagaich, Coir nan Laogh. 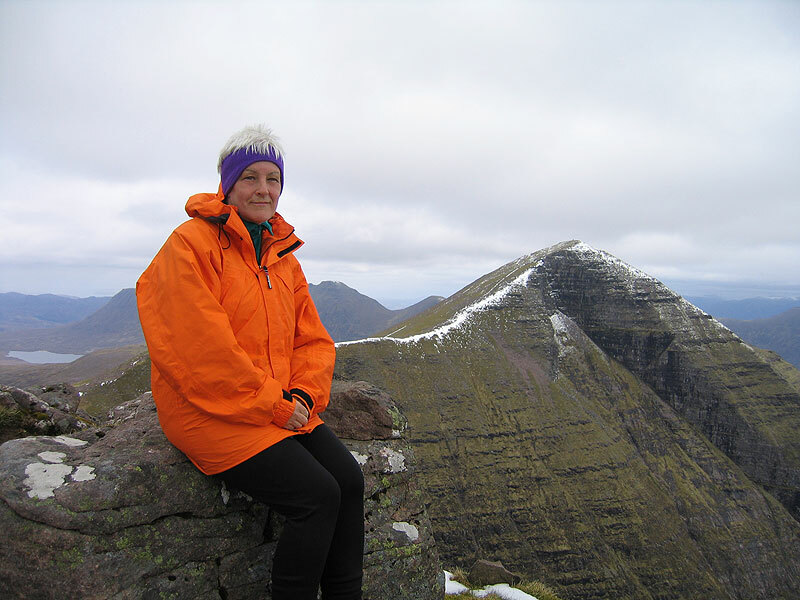 Beinn Alligin is a relatively steep sided mountain with much of its slopes formed of terraced layers of red sandstone which are eroded to a rounded profile making hand and footholds difficult. The ascent towards the (visible) summit cairn of Tom na Gruagaich on the approach from Sgurr Mhor. Looking up through corrie to summit on a fantastic day with an aeroplane going somewhere nice. 26/09/2010. Taken just after leaving car park. 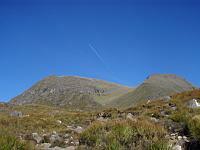 The summary information of one or more ascent routes that include Tom na Gruagaich. 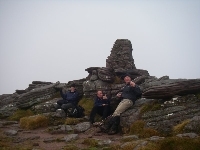 1 1396 m 10 km 4.5 hrs Sgurr Mhor and Tom na Gruagaich Moderate route with some scrambling. 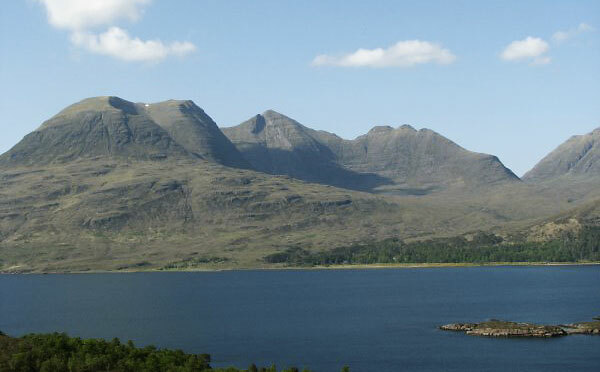 Post a few words about Tom na Gruagaich or read what others have had to say. 17th July 2009. There is a very clear path which leaves the road on the west side of the bridge over the Abhainn Coire Mhic Nobuil and leads into Coir nan Laogh and up to Tom na Gruagaich. We attempted this route on a not so good day. 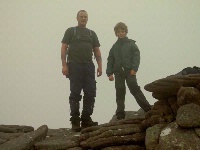 Low cloud and very windy. 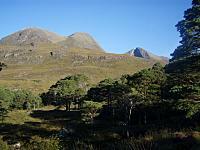 So much so that we opted simply to bag Tom na Gruagaich and about turn back down the rock filled corrie/gully. With the strong winds which just swept down the ascent gully route into our faces, it was a particularly tough ascent physically with the scree boulders and my colleagues and myself found keeping our balance hard at times. But when the clouds did break, the horns looked menacingly inviting from the path back the carpark. I will definitely return to complete the route, bag sgurr mor and more importantly the horns!